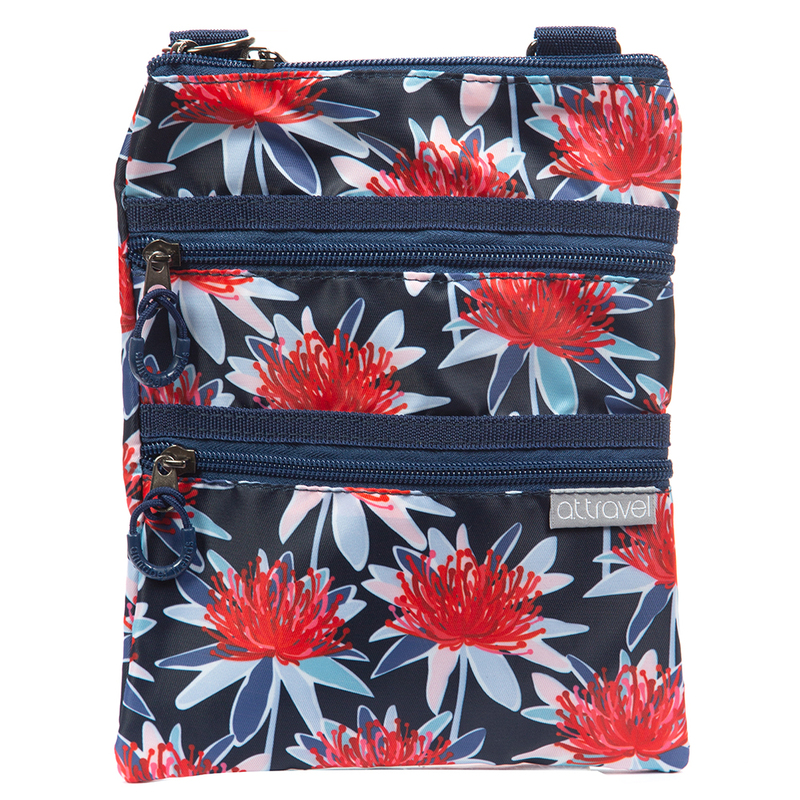 AT’s new Triple Zipper Travel Bag ensures that you have all of your essentials right at your fingertips. Complete with a detachable shoulder strap, this compact travel accessory is available in various colours and patterns, all the while keeping your valuables, travel documents and passport safe. Exterior is crafted from 100% nylon. Interior is lined with 100% polyester. Three zippered compartments ensure your travel essentials are at your fingertips. Dimensions: 18.5cm (l) x 24cm (h) x 2cm (w).